Saudi Methacrylates Company (SAMAC) is implementing the Alpha 2 project. Image courtesy of Lucite International. 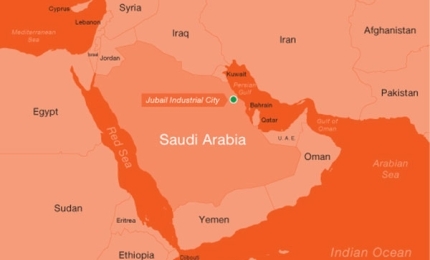 The world's biggest methyl methacrylate (MMA) plant and the first poly-methyl methacrylate (PMMA) plant in Saudi Arabia is being constructed at Jubail Industrial City. Image courtesy of Lucite International. The PMMA plant will have an annual production capacity of 40,000t. Image courtesy of Lucite International. Saudi Methacrylates Company (SAMAC) is constructing a 250,000t a year methyl methacrylate (MMA) plant, the biggest of its kind in the world, and a 40,000t a year poly(methyl methacrylate) (PMMA) plant at Al-Jubail, Saudi Arabia. SAMAC is a joint venture (JV) equally owned by Mitsubishi Rayon (MRC) and Sabic. The two companies signed a letter of intent in August 2009 to form the JV, which was formally announced in May 2011 and the final procedures to form the same were completed in June 2014. Construction on the project, dubbed as Alpha 2, began in late 2014 and commissioning is expected in early 2017. "Construction on the project, dubbed as Alpha 2, began in late 2014 and commissioning is expected in early 2017." 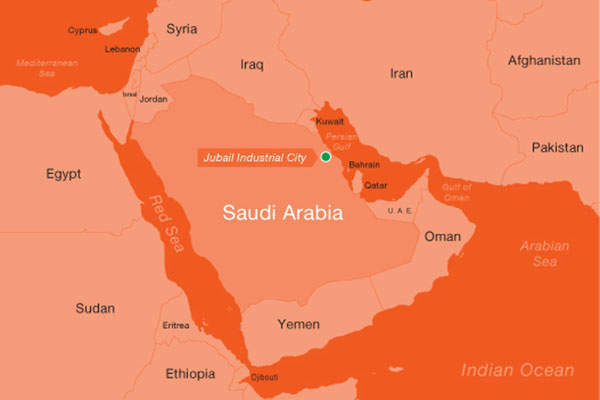 The project forms part of Saudi Arabia’s National Industrial Clusters Development Programme, which is aimed at expanding and diversifying the economy by 2020. The Alpha 2 Project aims at meeting the growing demand for MMA, which stood at more than three million tonnes a year in 2014. 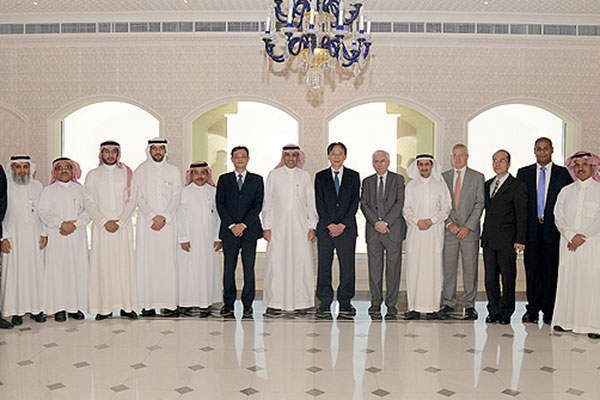 The Japan Bank for International Cooperation (JBIC) signed two loan agreements with SAMAC in March 2015. As per the agreements, JBIC will provide a loan of approximately $490m and co-finance the project jointly with other commercial banks. The technology selected for the MMA monomer plant is the Alpha Technology, an ethylene-based MMA production process licensed by Lucite International, a subsidiary of MRC. The two-stage process was earlier proven at Lucite’s 120,000t/y Alpha 1 plant at Jurong Island, Singapore, that came online in November 2008. The current project will benefit from the expertise gained from the operation of the former plant and will further integrate energy-saving solutions developed since the commissioning of the first plant. The technology is considered to offer 40% savings in construction and production compared to existing technologies. It allows the use of easily available and low-cost feedstock such as ethylene, carbon monoxide and methanol in the production of MMA, compared with conventional use of feedstock such as hydrocyanic acid and isobutylene. Saudi Aramco’s Jazan Refinery and Terminal is being constructed in the coastal part of the city of Bish. 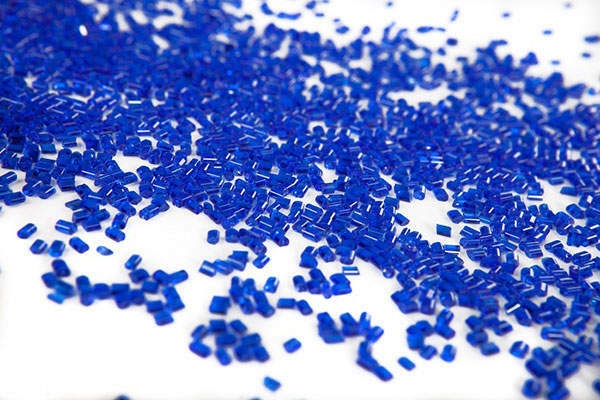 The process also offers added benefits compared with conventional processes as it has no production-related polymer or solids blockage, corrosion or machine issues. The PMMA plant, on the other hand, will implement a technology licensed by MRC. It will be the first plant of its kind in Saudi Arabia. As part of the JV agreements, Sabic will be responsible to supply the feedstock including ethylene and ethanol. MMA is primarily used as a building block for acrylic-based products such as recyclable transparent plastics, coatings and adhesives, while PMMA is primarily used by the electronic industry to manufacture LCD screens and monitors. The engineering, procurement and construction (EPC) contractor for the project is CTCI Corporation (Taiwan). The front end engineering and design (FEED) study was performed by Foster Wheeler, who was also involved in the design and construction of the Alpha 1 plant.